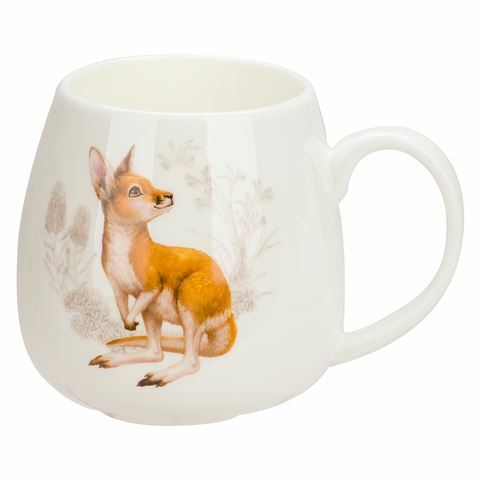 Celebrate one of Australia’s most well-loved residents with the Ashdene Little Aussie Friends Kangaroo Hug Mug. With artwork from artist Elise Martinson, this mug features a cutesy illustration of a kangaroo that is guaranteed to pull on your heart-strings. Made from fine bone china, you can feel assured that this mug is high quality. Large rounded ‘hug mug’ design. Kangaroo illustration by artist Elise Martinson.